British-Hungarian actress whose best known role was in the 1960s TV sitcom "Green Acres," in which she portrayed Lisa Douglas, a New York wife of Oliver Wendell Douglas played by Eddie Albert who left New York City to live on a farm. Eva Gabor was a Hungarian born American actress. She was born in Budapest, the daughter of Vilmos Gabor and Jolie Gabor (nee Jancsi Tilleman). Her elder sisters were Magda Gabor and Zsa Zsa Gabor. Gabors maternal family was Jewish and her maternal grandparents died in the Holocaust. Biographers speculate that her paternal family were originally Jewish as well, but converted to Catholicism in order to assimilate, although this has not been confirmed. Her first movie was "Forest Landing" (1941) at Paramount Pictures. She acted in movies throughout the 1950s. In the 1960s, she commenced her best known role in the TV sitcom "Green Acres," in which she portrayed Lisa Douglas, a New York wife living on a farm. This was a hit show for several seasons and is still seen in syndication. In later years, she was involved in some animated Disney movies, providing the Hungarian-accented voices of Duchess in "The Aristocats" and Miss Bianca in "The Rescuers" and "The Rescuers Down Under." For several years, Eva played the role of girlfriend for businessman/entertainer Merv Griffin, attending events together for publicity purposes. She was a successful businesswoman as well. 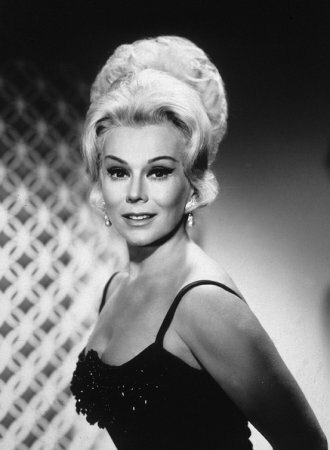 Eva Gabor died at the age of 76 in Los Angeles of respiratory failure after suffering from food poisoning. Although the youngest of the three sisters, she was the first of them to die. She is interred in the Westwood Village Memorial Park Cemetery in Westwood, California.